The term ‘lazy weekends’ seldom apply to us and when we actually had what seemed like a ‘lazy Saturday afternoon’ yesterday (that’s after the housework of sweeping, mopping, cleaning etc are done), we were quite clueless on what we could do. Staying home is a good idea (think weekend town crowd + F1 everyone else is everywhere crowd) and cooking lunch seemed a start. I was quite keen to finish off the food had been stored in the kitchen cabinets, so, zzz did some grocery shopping and whipped us a meal of koka instant mee with vegetable stock and bonito fish flakes, plenty of vegetables, mushrooms and boiled pork. Ah. comfort food. Never-mind the health quotient. A piping hot bowl of soup always guarantee a smile…and a *burp. 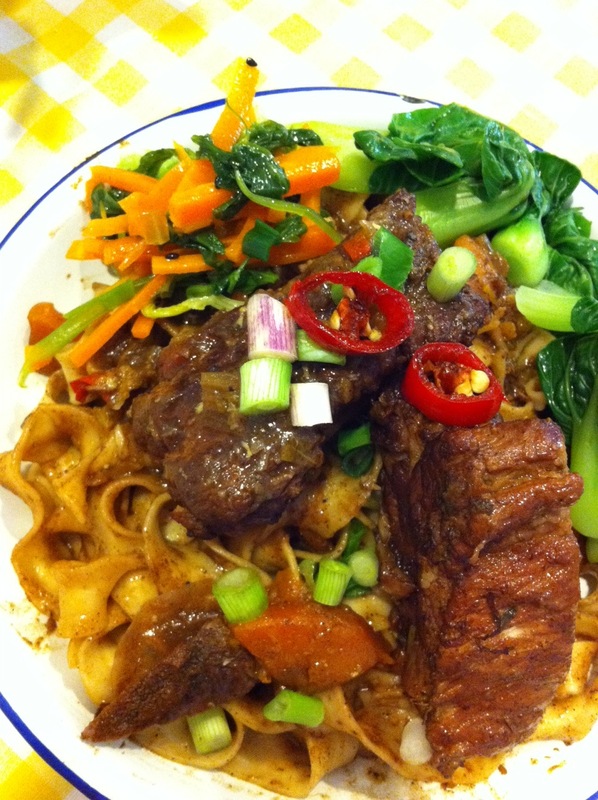 This entry was posted in Cook and tagged koka, maggi mee, noodles, soup, vegetables on September 25, 2011 by three3seconds.